Driverless vehicles, IOT enabled infrastructure, traffic prediction and last mile solutions are just a few trending topics in the field of Smart Transportation. 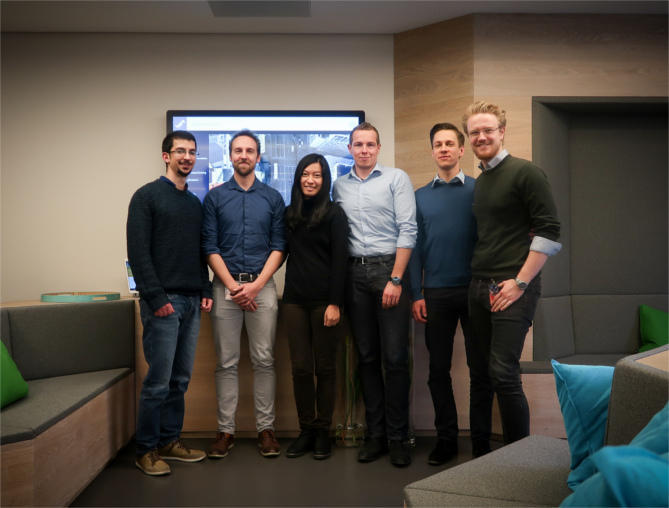 In a project with HERE, a pioneering location service provider, our BIPM students investigated the impact of IoT Platforms and Machine Learning technologies on Smart Transportation for HERE’s New Cities Products, IoT Business Group. The project’s goal was to determine a common technological core, that fulfills the needs of a Smart City in the context of Smart Transportation for the year 2030. The students analyzed several real-world case studies, conducted ideation workshops, provided an overall outlook for future scenarios and derived corresponding strategic recommendations for the client. “We help people to benefit from the power of location data in order to create innovative solutions which ultimately make the lives of every user safer and more efficient. The challenge is always to anticipate what is going to happen next. Working together with the BIPM students provided a fresh perspective, which helps us to better understand the future customer needs and technological solutions regarding Smart Transportation. The team’s approach was based on scientific research and creativity. They fully identified themselves with this project and ran the extra mile to fulfill our demanding objectives. Due to their open and professional communication style the level of progress was always completely transparent. Their proactive behavior led to fast project deliverables with a very high degree of flexibility and quality. Photo (from left to right): Akram Shahda, Christian Kregelin, Linda Cen, Bernd Fastenrath, Philipp Krank and Tizian Kronsbein at HERE’s office in Berlin. This project was conducted from October 2016 till February 2017 as part of the master program Business Intelligence & Process Management at the Berlin School of Economics and Law in cooperation with HERE. Supervisors were Prof. Dr. Frank Habermann and Prof. Dr. Mario Glowik. “Business Intelligence & Process Management” (BIPM) is a master program of the Berlin School of Economics and Law. It provides applied knowledge at the crossroads between business and technology. Students acquire scientifically proven methods and practical approaches for bridging business and technology and thus creating better information systems.